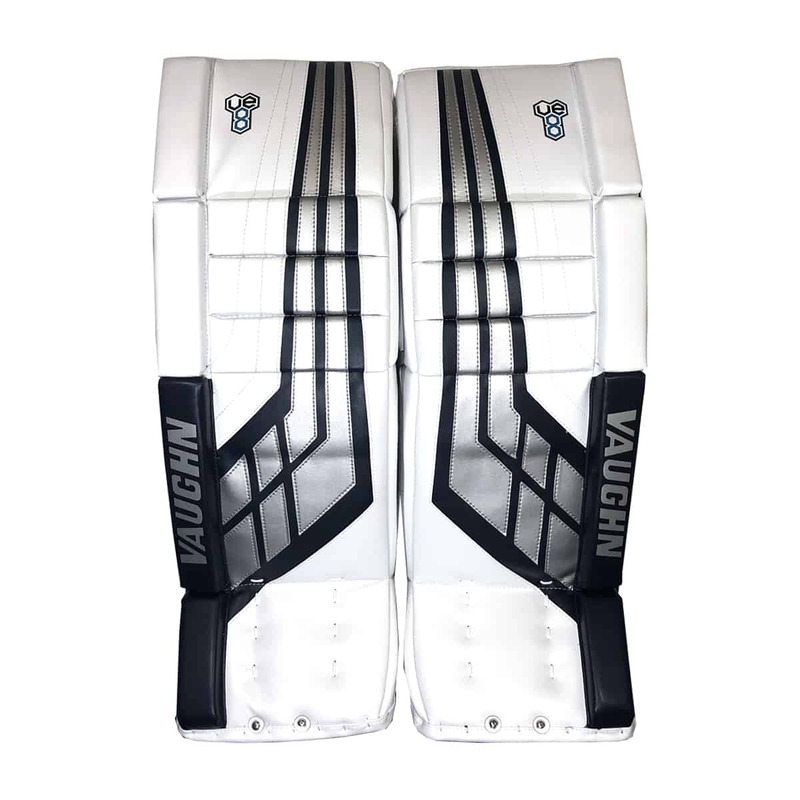 Double Break Version Exclusive to Goalie Plus: Goalies Plus is proud to be the only current USA dealer with a double break option on the Vaughn Velocity VE8 Pro Goalie Pad in custom colors. So what does the double break feature really mean? 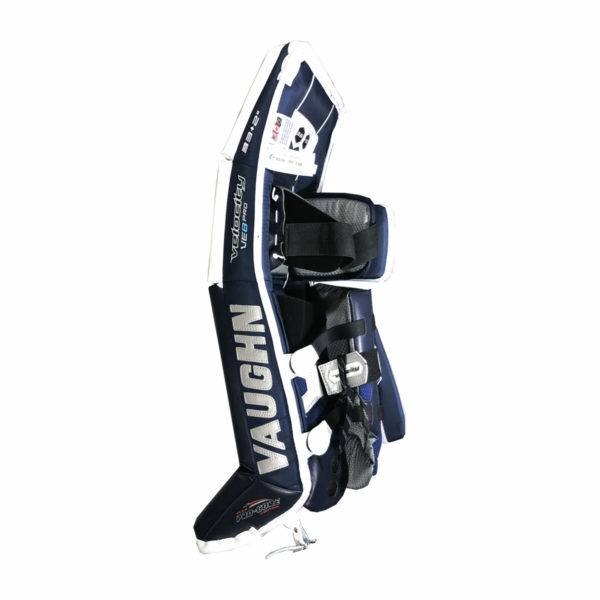 Well we will start from the beginning, the Vaughn Velocity has always been the bench mark for hybrid goalie pads in the hockey industry. 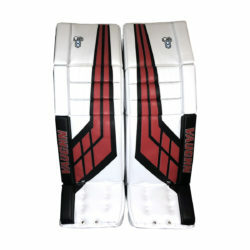 Other brands that offer a hybrid style goalie pad have based their pad on the Velocity line in one way or another. 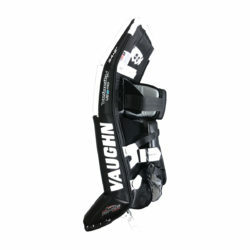 Starting with the original Vaughn Velocity line back in the early 2000’s through the last generation of Velocity V7’s, the Velocity has always been a double break pad (double break defined as a break in the vertical roll above and below the knee). 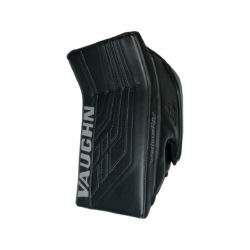 The Velocity VE8 is the first stock Velocity line to offer just one break which is below the knee area. At Goalies Plus we felt is was necessary to offer the double break option because of the history and because of the functional aspect the double break provides. We feel that when a goalie is choosing a Velocity goal pad, they are choosing that pad because it offers a softer, more flexible feel which a hybrid goalie prefers. 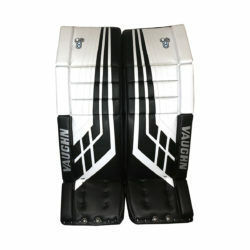 This softer and flexible feel allows the pad to flex as they move in and out of a variety of movements and techniques. The double break allows for increased flexibility and greater lateral flex (more independent flexibility of the pad – top, middle and bottom). 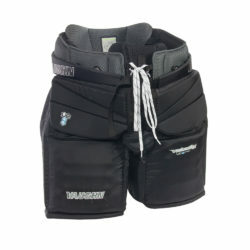 By having more lateral flex in the pads, the goalie has greater control and more natural movements compared to a stiffer version. Another huge reason we went with the double break was the butterfly technique. 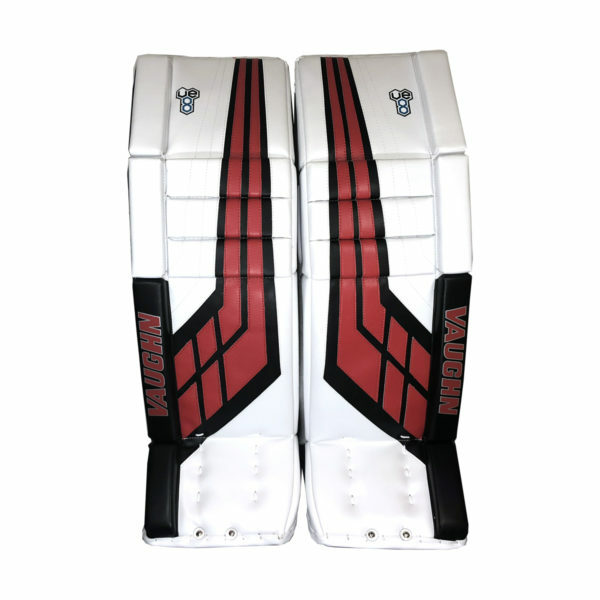 A hybrid goalie considers themselves a hybrid for many reasons; size, mobility, body limitations, etc. A very common characteristic of a hybrid goalie is a narrow to medium width butterfly technique. Since a hybrid goalie will still utilize the butterfly technique, it is important that the pad can do its part. 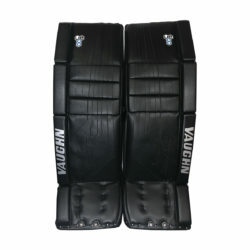 By having the double break on the pads, even a narrow width goalie can still perform a butterfly technique with full closure. 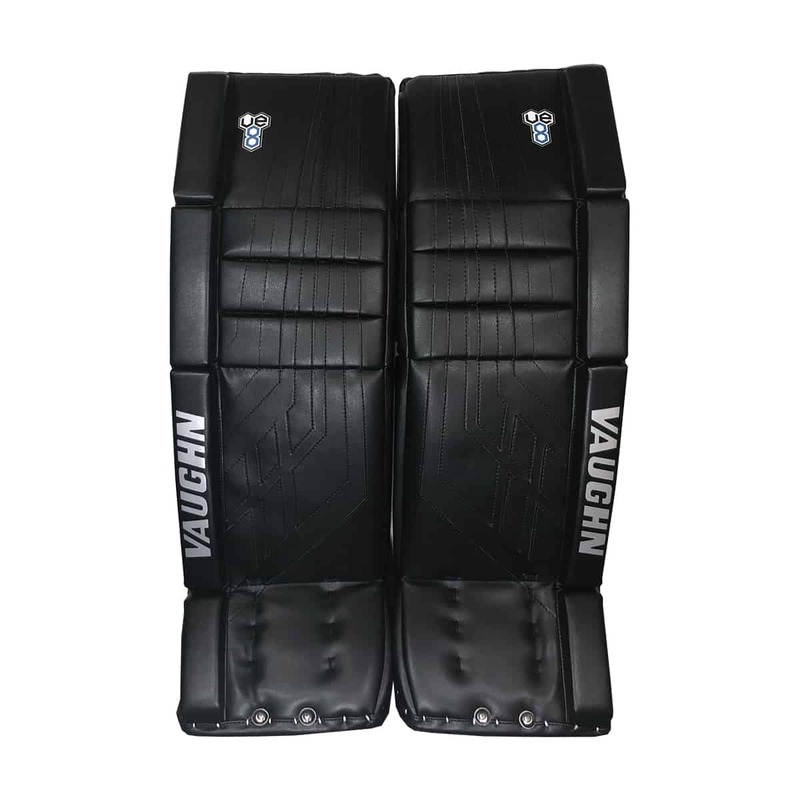 Without the additional break in the pad, there is a very definite possibility that this type of hybrid goalie will leave a gap in their five hole because the pads will not wrap around enough and seal the five hole area. 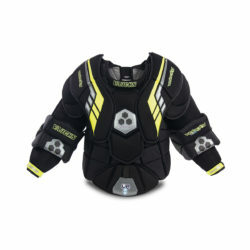 We felt at Goalies Plus that is is much better to have the double break and not need it then to need the double break and not have it. For a wide butterfly goalie that wants a Velocity pad, the single break would be the better option however it is our opinion that a greater majority of hybrid goalies prefer having a double break. There have been several additional new features on the 2018 VE8 Velocity line (both single break and double break). The biggest two changes a consumer will see is the strapping system and the reduction in weight. The previous generation Velocity V7 still had a traditional strapping system but the 2018 VE8 has gone to the quick strapping that is very popular these days. 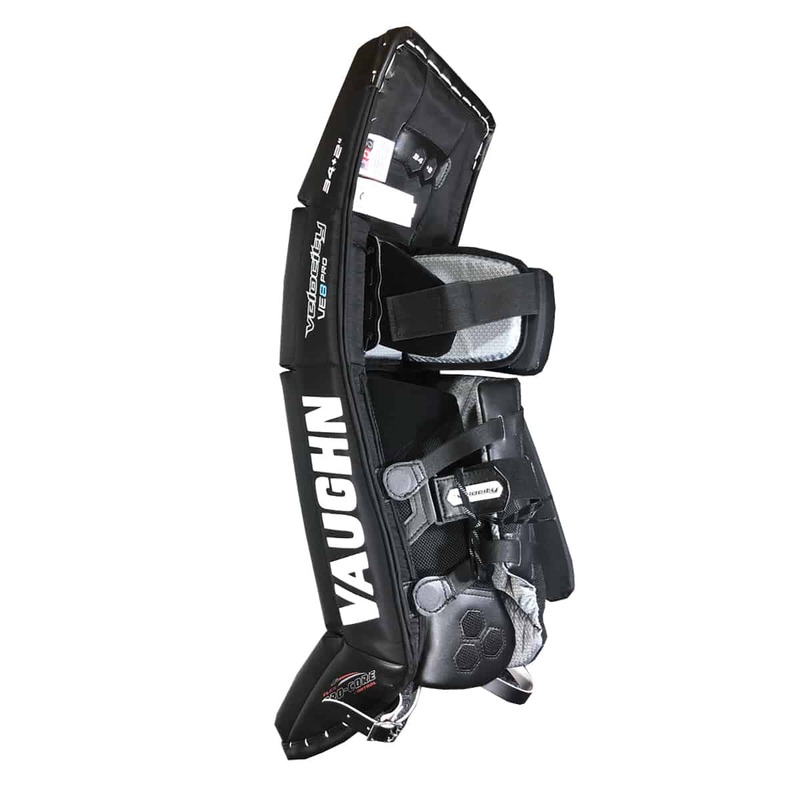 The VE8 uses elastic straps like most brands but with one major change from other competitors; they use a magnetic clip system to connect the strap to the pad. Most companies use Velcro to connect to the pad, this is great at the beginning but the Velcro tends to loose its sticking capacity very quickly. Once this happens, the strap becomes useless. With this magnetic clip system, you will never have to worry about debris getting in the Velcro and loosing its ability to attach. Another difference you will feel on the VE8 versus older Velocity series is a stiffer ankle flex. While still very flexible compared to a blocking or butterfly style pad, there was a lot of feedback from Vaughn’s hybrid style goalies wanted this area to be a bit stiffer as the older pads would break down very quickly in this area. 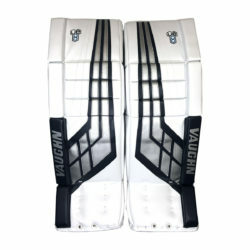 Vaughn also made another change and that was to the top binding. 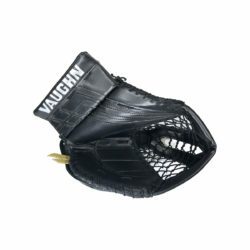 The Vaughn went away from a thin traditional binding to a thicker and more square binding design. 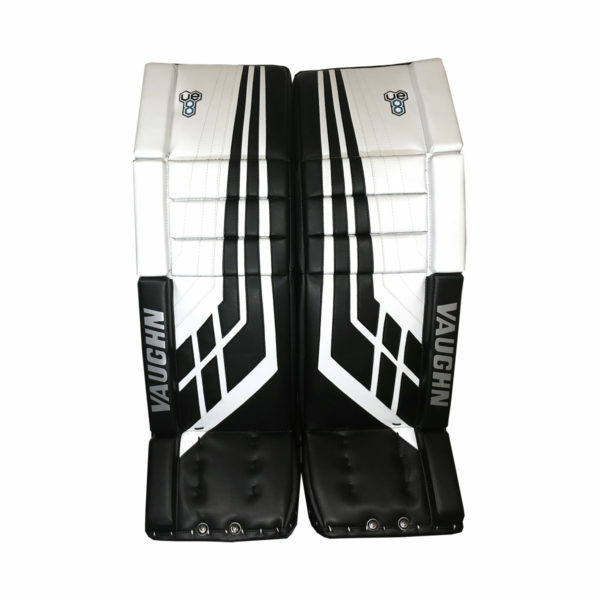 This design change will do a better job sealing the five hole and creating extra strength to the pad while in the butterfly position.